A seventeen year old boy camouflaged in mud kills a deer with a knife and emerging out of the forest are his five siblings who watch their father, Ben (Viggo Mortensen), initiate the seventeen year old, Bo, into manhood. Ben and his six children live off the land in the Pacific Northwest forest. All six children, from seventeen-year-old Bo to seven-year-old Nai, speak multiple languages and are experts in everything from history to physics. Their daily rituals involve physical conditioning, listening to Bach, studying, hunting, and in the evening they huddle around the fire for an improvised musical jam sesh. In this musical scene without dialogue Ross conveys the emotional cohesion and loyalty they have together. Ben's approach to parenting is rigid in routine but full of compassion and love. Their Eden is disturbed when Ben's wife Leslie, their mother, commits suicide and forces them to leave the forest. It's a painful haymaker that Ross lays on the audience after such a peaceful entrance into this family’s world. Ben calmly explains to his children that postpartum depression led to bipolar disorder, which then led to low serotonin levels. It's a scientific, factual, and honest explanation. That they can understand this tells you how smart they are and how open Ben is with them. But they're still devastated and their idyllic world begins to fade as they ride their bus back into society. Viggo Mortensen is perfect in the role that requires him to play a stern but comedic and fantastical figure that's hiding grief. The world he's created for them is insular, and the initial clash between the outside world and their own plays for laughs. When visiting their aunt and uncle (Kathryn Hahn & Steve Zahn) in an upper middle class neighborhood, Ben dryly criticizes their capitalistic lifestyles. They fire back at Ben, arguing that his children know nothing about the world. Ben responds by questioning their teenage sons about the bill of rights, which they can barely identify. Ben then asks his youngest daughter, Zaja, and she provides thoughtful analysis and insight. Point, Ben! It's a funny scene that also sharply points out the difference between indoctrination and education, a dichotomy explored throughout. The film rides on Ben's shoulders and only begins to wobble when his worldview crosses into arrogant superiority with Ross shying away from criticizing his super dad. It comes dangerously close to being a lecture but as the hippie haven meets reality in the latter half, it becomes an open discussion whether he's done the right thing. As they move closer to the funeral, the sadness of Leslie's absence surfaces through the comedy, and Ben is overwhelmed by the grief he's suppressed. He realizes his kids know everything about every subject in the world, but they don't know the world. Bo easily gets into Harvard and Yale, yet he's never talked to girls. His pre-teen son, Rellian, resents him for sheltering him. To top it all off, the children's grandfather, a humanized metaphor for the big bad establishment, threatens to take them away from Ben. For a film about such an idealist and colorful family, Ross lacks the filmmaking chops to make his story pop but what he does utilize well are the faces and expressions of the characters to eventually peel back the layers of this family. Even with the younger kids existing more as ideas for Ross to explore rather than fleshed out characters, there's still a sense of community. You can have loads of style with exquisite blocking, lighting and camera movement, but if you don't sell the characters emotions then it's hollow. Ross' world building through their relationships creates a small tapestry of family that has moments of raw power, which makes it easy to forgive the missteps. Captain Fantastic blooms in these moments with the family simply enjoying each other's presence. A soothing energy flows through these scenes and their Chomskyist lifestyle is a haven that I want to join. There have been three indie films this summer about creating a paradise in the wilderness to escape the problems of the outside world and the inner self. Hunt for the Wilderpeople is a fine little adventure. Swiss Army Man is the most ambitious and original. 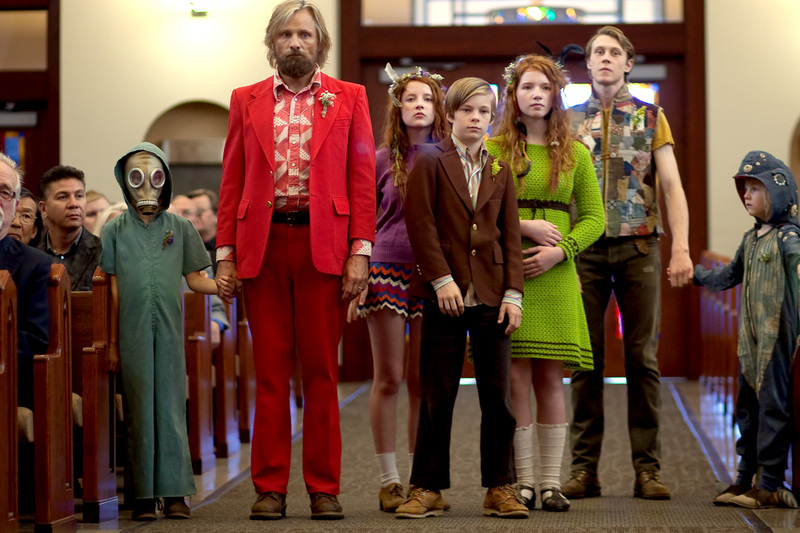 Captain Fantastic is the least stylish, wraps up a bit too neat and you have to buy what it's selling, but if you do, it's the most satisfying. It's a film about a road trip, sticking it to the man, family, saying goodbye, education vs. indoctrination, but most of all; it's a film about how paradise is not found in a location or in lifestyles. I won't spoil it, but the answer exists in the film's final shot. Captain Fantastic is on limited release in the US and will be released in the UK on the 9th of September.